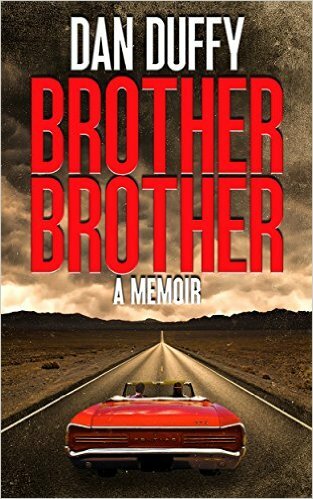 *Brother Brother: A Memoir by Dan Duffy. Price: Free. Genre: Memoirs of the Day, Sponsor, Road Trip, Baby Boomers, Travelers & Explorers. Rated: 4.9 stars on 19 Reviews. 291 pages. ASIN: B01F2IJVY0. ISBN: 0692707352. Posted on May 29, 2016 Author KibetCategories Free Travel Kindle Books, memoir, TravelersLeave a comment on Kindle Travel Deals for Sunday! The Land of Little Rain by Mary Austin. Price: Free. Genre: State & Local, Ecology, Travel Writing, History, Travel, West. Rated: 4.4 stars on 42 Reviews. 93 pages. ASIN: B01DX7VMBM. Bangkok City, Travel Dudes Destination Guidebook by Travel Dudes, Dave Brett. Price: Free. Genre: Southeast, Bangkok, Budget Travel, Travel, Thailand. Rated: 4.8 stars on 6 Reviews. 89 pages. ASIN: B01G0ZU9BI. Posted on May 27, 2016 Author KibetCategories Budget, Free Travel Kindle Books, history, TravelersLeave a comment on Kindle Travel Deals for Friday! *Donald Trump: Top 10 Rules for Success of Donald Trump (Self Success) by Ross Cameron. Price: Free. Genre: Canadian, Lawyers & Judges, Travelers & Explorers, Travel, Adventurers & Explorers. Rated: 4.9 stars on 14 Reviews. 13 pages. ASIN: B01DJNLCME. Posted on May 25, 2016 Author KibetCategories Biographies, Free Travel Kindle Books, TravelersLeave a comment on Kindle Travel Deals for Wednesday! A Wonderful Tour of Everyday Tokyo Life! 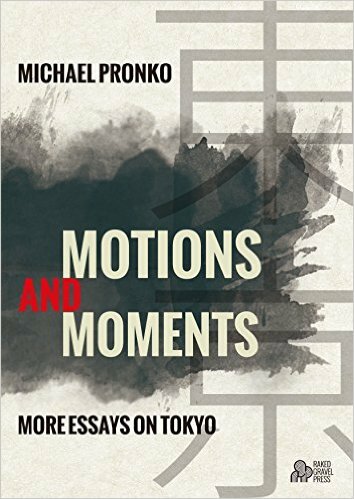 *Motions and Moments: More Essays on Tokyo by Michael Pronko. Price: Free. Genre: Travel Essays of the Day, Sponsor, Japan, Tokyo, Moments. Rated: 4.6 stars on 19 Reviews. 290 pages. ASIN: B019IGFBWS. ISBN: 1942410115. Road To Holy: Israel-India-Italy by Jim Chapman. Price: Free. Genre: Religion & Spirituality, Personal Transformation, Teen & Young Adult, Travel, Children’s eBooks, Personal Growth. Rated: 4.8 stars on 5 Reviews. 250 pages. ASIN: B01CAGUZWE. Posted on May 20, 2016 Author KibetCategories Free Travel Kindle Books, TravelersLeave a comment on Kindle Travel Deals for Friday! *Motions and Moments: More Essays on Tokyo by Michael Pronko. Price: Free. Genre: Travel Essays, Sponsor, Japan, Tokyo, Moments. Rated: 4.6 stars on 19 Reviews. 290 pages. ASIN: B019IGFBWS. ISBN: 1942410115. Posted on May 19, 2016 Author KibetCategories Free Travel Kindle Books, TravelersLeave a comment on Kindle Travel Deals for Thursday! Posted on May 16, 2016 Author KibetCategories Free Travel Kindle BooksLeave a comment on Kindle Travel Deals for Monday! *Renegade Car Camping: A Guide to Free Campsites and the Ultimate Road Trip Experience by Bryan Snyder. Price: Free. Genre: Camping, Travel, Parks & Campgrounds. Rated: 5 stars on 6 Reviews. 113 pages. ASIN: B01EZ8VP7Y. Posted on May 15, 2016 Author KibetCategories Free Travel Kindle BooksLeave a comment on Kindle Travel Deals for Sunday! 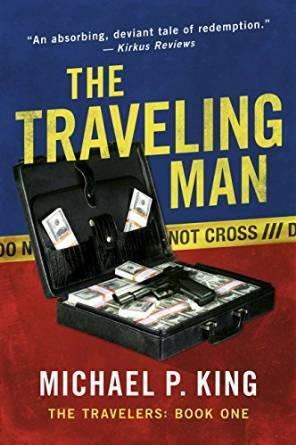 *The Traveling Man (The Travelers Book 1) by Michael P. King. Price: Free. Genre: Crime Thriller, Sponsor, Suspense Thriller, Heist. Rated: 4.9 stars on 14 Reviews. 216 pages. ASIN: B019DGN21A. Posted on May 13, 2016 Author KibetCategories TravelersLeave a comment on Kindle Travel Deals for Friday! *The Traveling Man (The Travelers Book 1) by Michael P. King. Price: Free. Genre: Crime Thriller of the Day, Sponsor, Suspense Thriller, Heist. Rated: 4.9 stars on 14 Reviews. 216 pages. ASIN: B019DGN21A. Posted on May 12, 2016 Author KibetCategories history, TravelersLeave a comment on Kindle Travel Deals for Thursday! 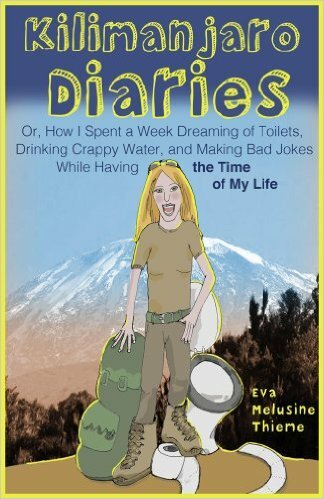 **Kilimanjaro Diaries: Or, How I Spent a Week Dreaming of Toilets, Drinking Crappy Water, and Making Bad Jokes While Having the Time of My Life (Deal. Not Free) by Eva Melusine Thieme. Cost: $0.99. Genre: Memoirs Deal, Sponsor, Travel Memoirs, Adventures & Explorers, Travel Writing, Essays & Travelogues, Adventurers & Explorers. Rated: 4.7 stars on 41 Reviews. 259 pages. ASIN: B00JAGJ7T0. Posted on May 11, 2016 Author KibetCategories Free Travel Kindle Books, memoir, TravelersLeave a comment on Kindle Travel Deals for Wednesday!